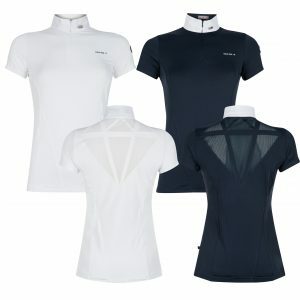 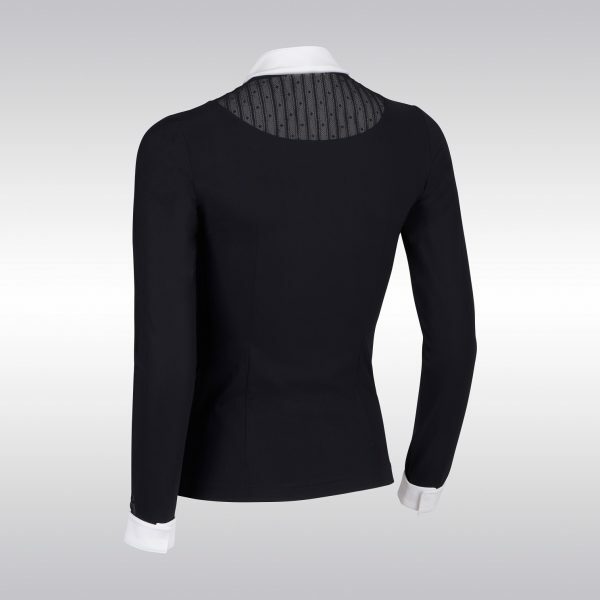 The Samshield Beatrice long sleeved competition shirt is designed with an ultra stretch, highly breathable, soft touch fabric which ensures comfort, freedom of movement and durability. 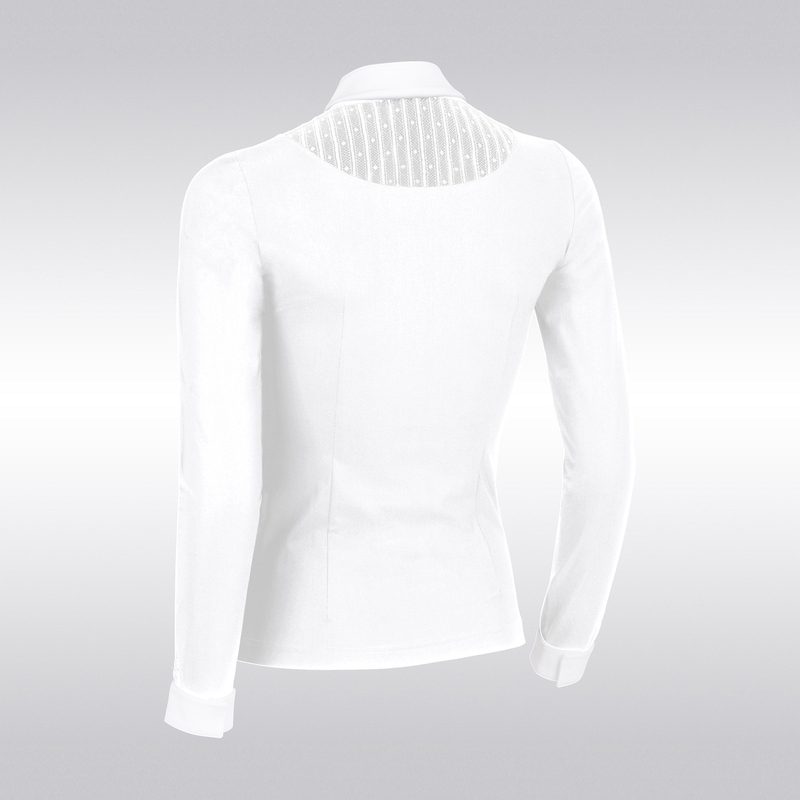 UV protection makes this shirt perfect for all seasons. 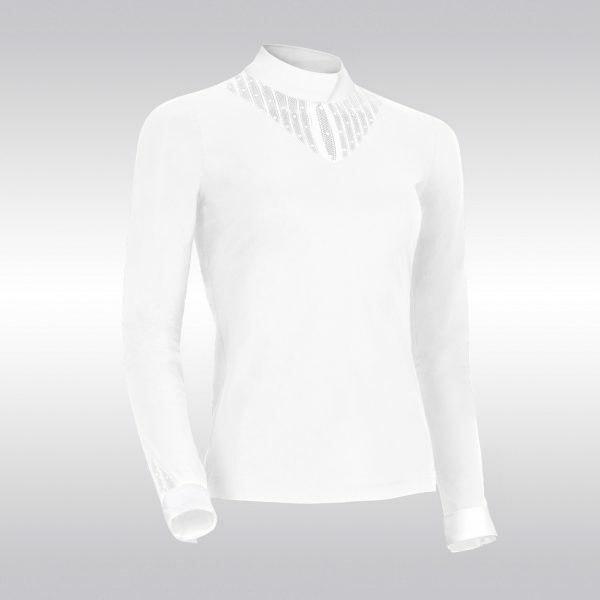 The Beatrice shirt is decorated with beautiful lace decoration on the neckline and sleeves, as well as a subtle Samshield blazon in Swarovski crystals on the sleeve. 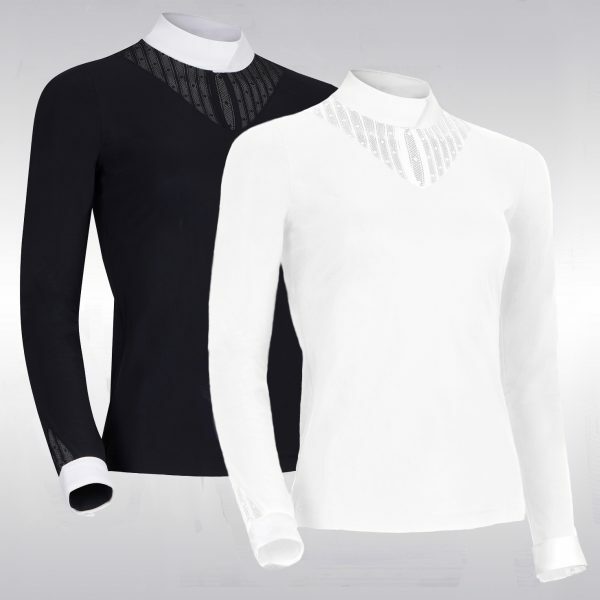 Featuring white collars and cuffs with invisible snaps to give a clean finish to this shirt. 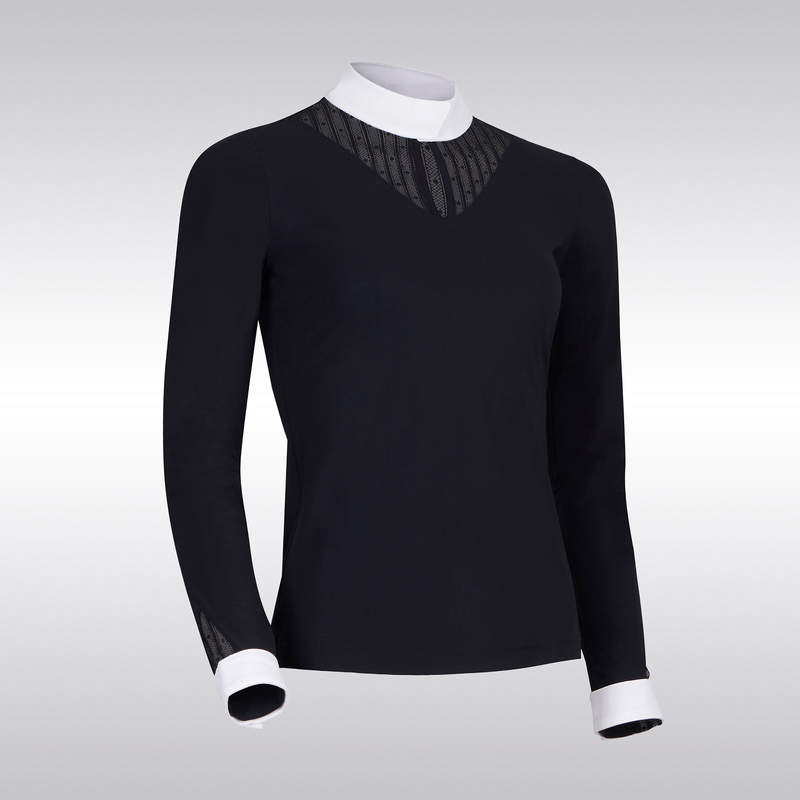 Beatrice combines technicality and refinement for the fashion conscious rider.